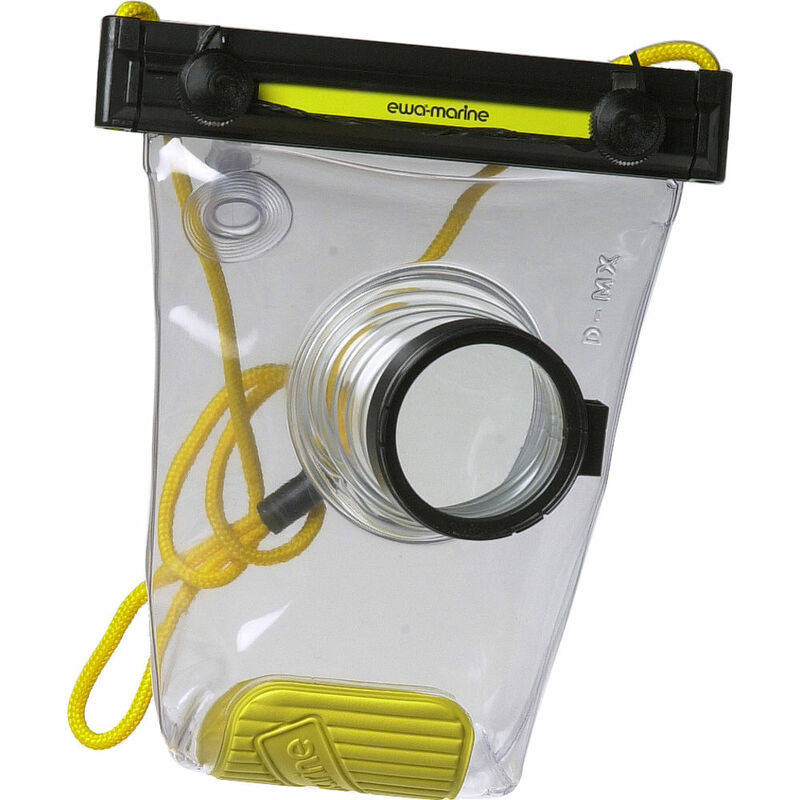 The Ewa-Marine D-MX Housing is an economical solution for using your Fuji Finepix MX-2900 near or at the water's surface, manufactured from double laminated PVC and with an optical glass port. It is rated for dives of up to 33' (10 m) depth; perfect for snorkeling, shallow diving, or generally sandy, dusty, and humidity weather conditions. The D-MX gives your Finepix MX-2900 the best possible protection while being fully operable. When not in use, it is quite light and takes up little space. A pair of non-corrosive and seawater resistant clamping rails fit together for sealing, tightened by knurled screw knobs. While specified for the Finepix MX-2900, the D-MX may fits other point and shoot cameras.